The Swivel Umbrella Adapter enables the angle of lights to be adjusted while using umbrellas. 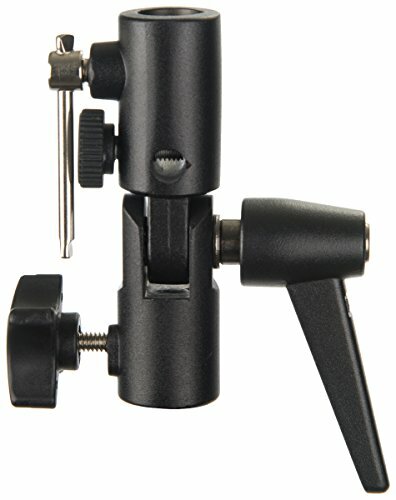 The adapter has a 5/8" receptor on each end to fit onto light stands and to attach lights. Included are two studs. One stud has 1/4"-20 and 3/8"-16 male threads, and the other with 1/4"-20 and 3/8"-16 female threads. These can be used to help attach lights to the adapter or mount the adapter onto a stand that does not have a 5/8" stud.